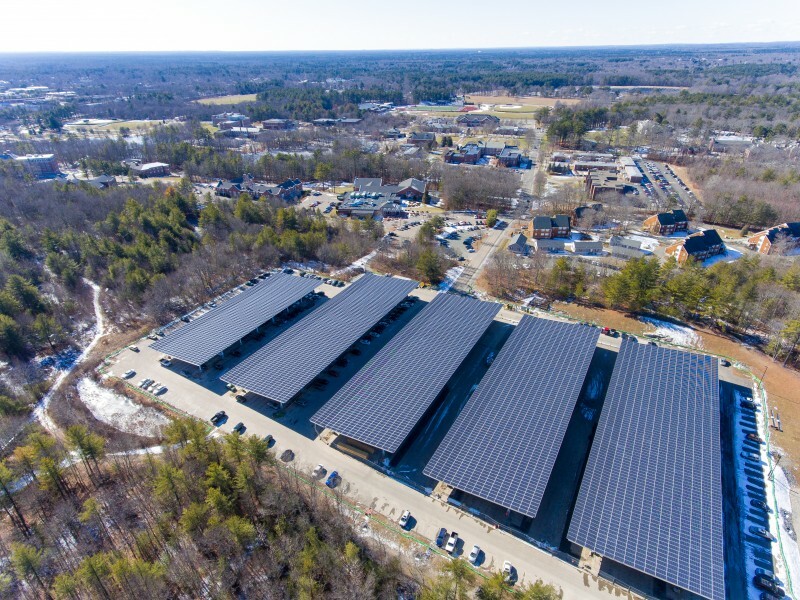 Investment Example: a 2.8 MW system with a long-term power purchase agreement (“PPA”) with Stonehill College, Inc. TGC owns solar canopies on Stonehill College’s parking lot that generate clean, green power for the College’s on-site consumption. Origin of Opportunity: the project is part of a partnership to buy C&I projects from SunPower Corporation. Host business type/Offtaker: Stonehill College (Moody’s A2). Host and/or Project as an Employer: Local labor was utilized to develop and build the project. Savings : Stonehill College has known electricity prices for the term of the agreement, with on-site generation of clean energy. It is expected the college will save substantially versus the electricity rates it projects during the life of the agreement. Social responsibility: Providing local, clean energy to educational institution. Creation of jobs during construction period and during ongoing maintenance for the next many years.